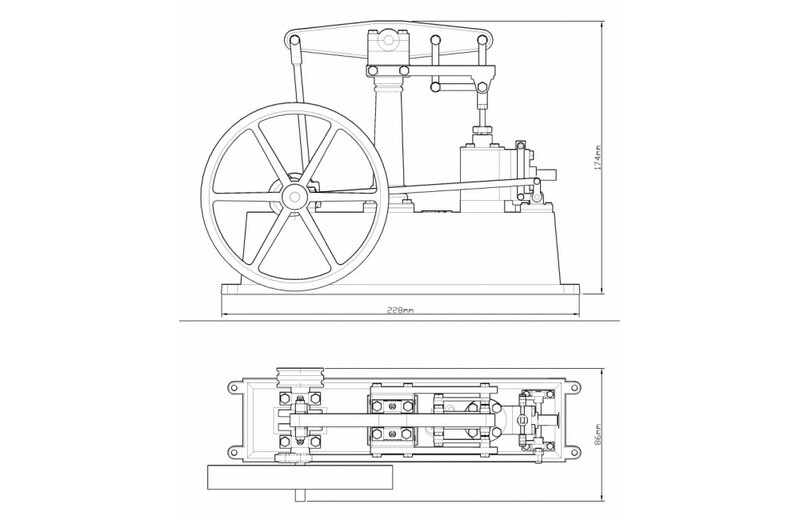 The single cylinder beam engine though simplified, has all the basic elements of beam engines which were widely used by industry in the early part of the industrial revolution. These, often huge engines, were used for pumping water from mines and extensively operated in my heavy industries. 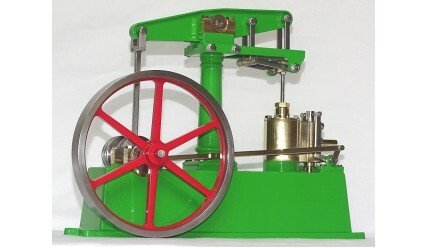 See video of engine running under live steam. NOTE: Pictures are of the finished, assembled and painted model, this listing is for the kit of parts, see picture. 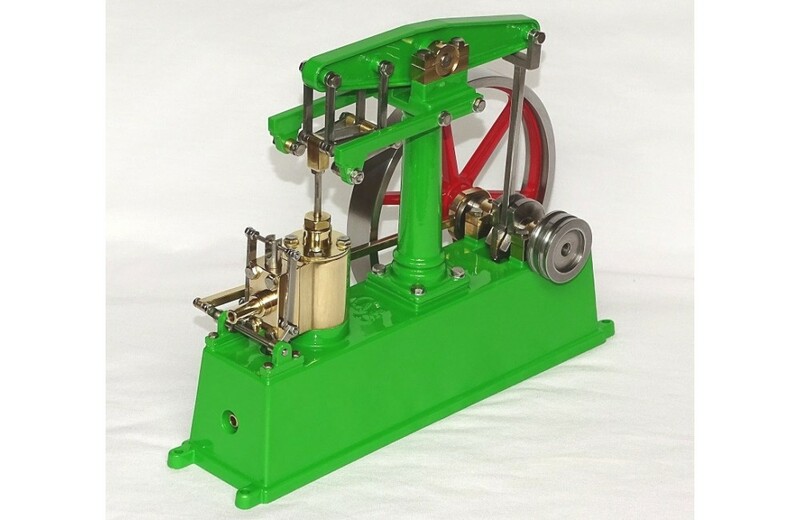 The beam engine's Watts Parallel motion, eccentric driven valve mechanism and large steel flywheel make this engine fascinating to watch, particularly at slow speeds. 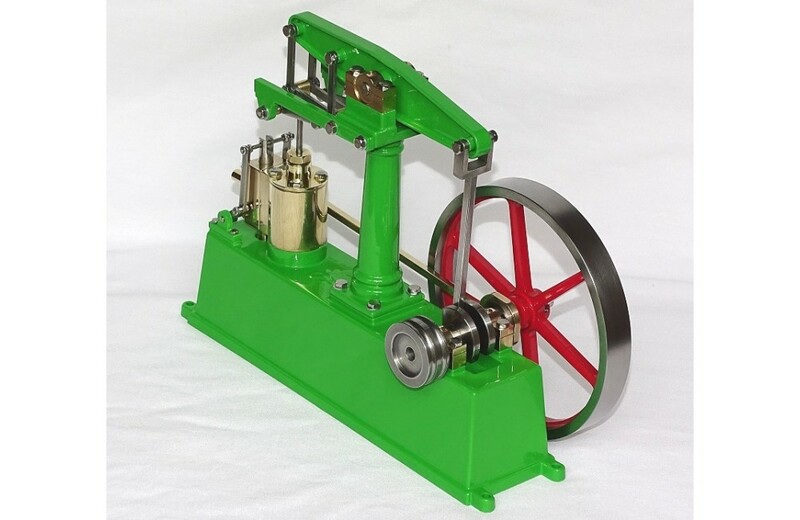 The engine includes twin split bronze pedestal bearings for the crank shaft and beam shaft, split bronze connecting rod bearings, cast steel column and very substantial cast steel base. 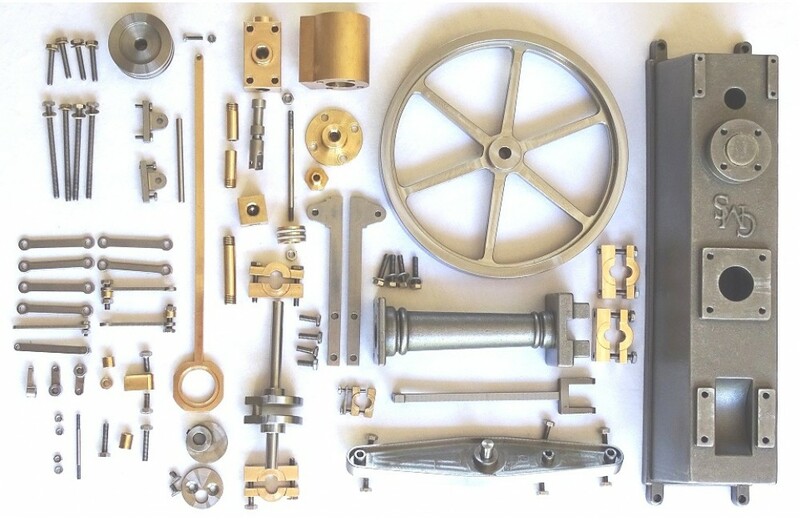 The cylinder assembly, chest, inlet/outlet pipes, eccentric rod, and piston are manufactured from brass and the piston shaft, valve, valve mechanism, connecting rod and parallel motion links from stainless steel so are not susceptible to corrosion. 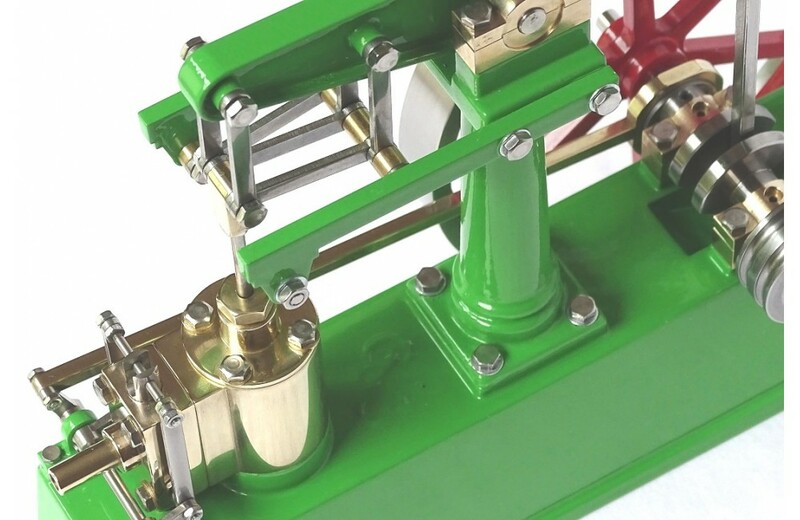 The piston shaft passes through an adjustable gland. 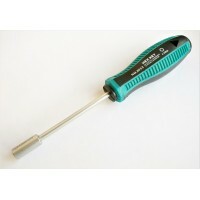 All required hex head setscrews are included in the kit. 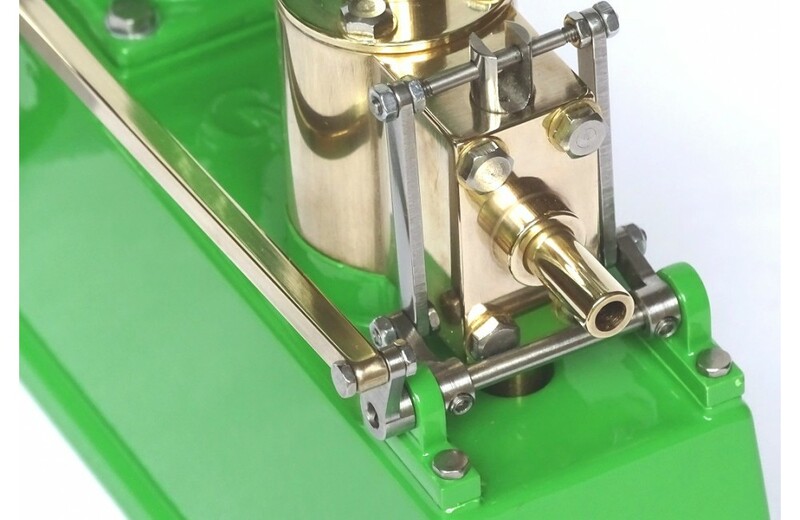 NOTE: some setscrews/pins will need to be cut/filed to length to complete the model. Each part in the kit is carefully precision made and checked to ensure reliability in service. The kit consists of a set of fully machined parts that can easily be assembled using simple tools such as a screw driver, spanner, allen keys, pliers and metal file. The parts are mainly unfinished metal and will also require painting, polishing, filing, etc. to achieve the appearance shown in the pictures. 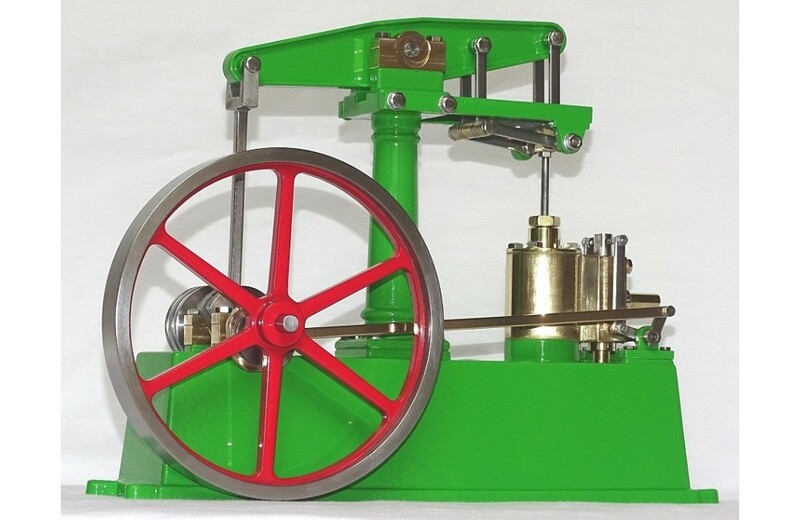 When assembled the engine is fully working and can be run using steam or simply using compressed air e.g. from hand or foot pumps. 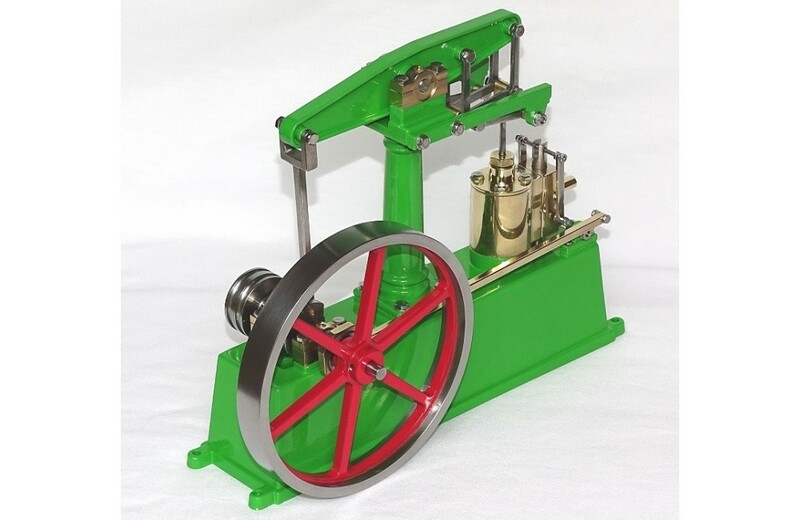 To power the engine with live steam, connect it to one of our Model Steam Boilers. 4mm Socket Spanner for use with M2 hex head screws/nuts.Very useful for assembling our model steam e..
5.5mm Socket Spanner for use with M3 hex head screws/nuts.Very useful for assembling our model steam..